The data is clear. Nearly 40 percent of the food produced in America shamefully never reaches our dinner tables — let alone our digestive tracts. Beyond trite food-pantry donation models and expensive city-wide composting campaigns to influence household behavior, the art and science behind solving the food waste problem could boil down to one necessary solution: better branding. As evidenced by the recent calls from the United Nations, the White House and the Environmental Protection Agency to cut food waste in half by 2030, the agenda is being set for researchers, activists and food industry experts to think both critically and creatively on how food preservation will work in the age of social media and social awareness. Perhaps the misappropriation of the word “waste” to describe perfectly edible food is where we can begin to re-tool the way we think about viable solutions. Let’s consider how we might be able to re-classify what is deemed “waste” versus undesirable food needing a second life. A new study conducted by a team of researchers at the University of Pennsylvania, Drexel University and Cabrini College analyzed the typical monthly food volume across 11 Shoprite grocery stores. The researchers found, that of the surplus food each store received, 44 percent was edible, though undesirable -- marked by ill-shaped produce such as bananas, apples and potatoes. These items also tend to show up in the waste stream (also known as the landfill) most often. Categorically, surplus can be broken down into distinct factions based on the study’s findings, which concluded that a fifth of the food was suitable for donation; 25 percent was inedible; and 10 percent was comprised of small quantities of unique items. On a consumer level, re-purposing surplus and turned-away food is not without its barriers. For instance, former Trader Joe’s executive Dough Rauch developed and launched nonprofit supermarket The Daily Table in Boston’s Dorchester community this year with the notion of creating prepared meals for pennies on the dollar from supermarket rejects. The project faced harsh criticism when it was first conceived and labeled as a way to shame the poor by selling them the expired leftovers of the elite. Without running the risk of offending the very consumers they intend to serve, brands and companies seeking to develop alternative business outlets will need to tread lightly in this space, coupling marketing with consumer education and products that speak their language. Think about the communities that have sprung up around the love of cooking and artisanal treats. From subscription-based do-it-yourself meals to city transit-sponsored farmers markets, the culture of food is an important narrative and potential solution to turning ugly food into an experience consumers are willing to try. Culinary students at Drexel even went so far as to develop recipes from the surplus they found during the Shoprite study. They turned pesky odd-shaped food into fruit smoothie bases and potato and apple chips. “What if we could go into that store, buy the bananas for pennies on the dollar, make the smoothie base, and wholesale it back at a couple dollars a pound and then the store could retail it?” said Jonathan Deutsch, a study co-author from Drexel. 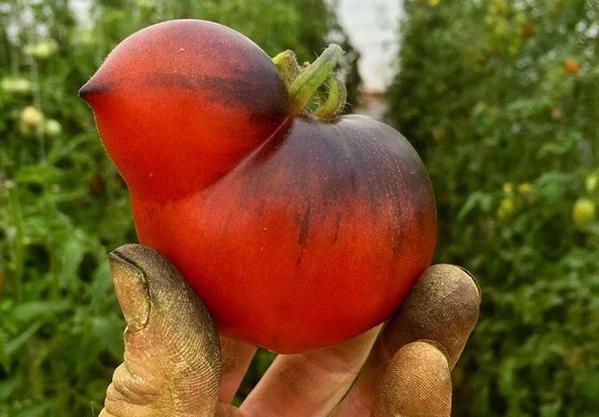 The Twitter handle @UglyFruitandVeg will change the way you look at odd-shaped produce through fun images and delectable dishes. The social media campaign is artistically aimed at bringing attention to food waste by educating followers about grocer-discarded foods and habits that prioritize aesthetics over responsible consumption. Imperfect Produce, launched this summer, “redefines the beauty of produce." The Oakland, California-based startup delivers ugly fruits and vegetables in Berkley, Emeryville, Albany and Alameda that cost 30 percent less than produce in the store. Food is not merely a means of survival for a generation that prefaces dinner with Instagram photo-sharing. Seemingly insignificant in solving both the hunger and waste crisis, the convergence of media and cuisine taps into the crux of food as the center of a cultural connector of people, experiences and business. If we modify the language in which we choose to identify the problem, perhaps we’ll see opportunity quite literally on the table.